Bio gel is an exceptionally durable gel treatment that nurtures your nails. It is a healthy nail system that will not chip or damage your nails. This glossy nail covering will last up to 3 weeks. Layers of gel are applied to the natural nail and set under a UV lamp. The nails are instantly dry once cured. Cuticles will be cared for, nails shaped, followed by application of gels. 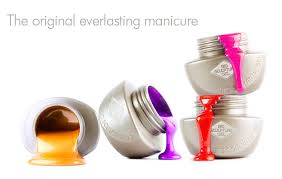 Enjoy a luxury manicure followed by application of gels. Gels will be carefully removed and followed by a manicure. Gels will be removed, nails shaped and finished with the perfect polish. Gels will be removed, nails shaped and finished with cuticle oil to nourish nails. Hard skin will be softened, cuticles cared for nails shaped & finished with application of gel. Enjoy a luxury pedicure followed by application of gel. Gel will be carefully removed and followed by a pedicure.